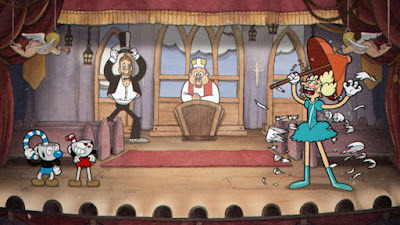 I was skeptical of Cuphead for a long time because it was kind of a great looking mess where you couldn’t tell what the gameplay was going to actually be. Or maybe I just didn’t want to believe that a hybrid 2D platformer / shmup really warranted that much hype. Now that I’ve played it, though, I can happily report that Cuphead isn’t merely skating by on astoundingly great presentation but it has the quality gameplay chops to match as well. Cuphead has been worth the wait and all the hype. See our full Xbox One review for more. 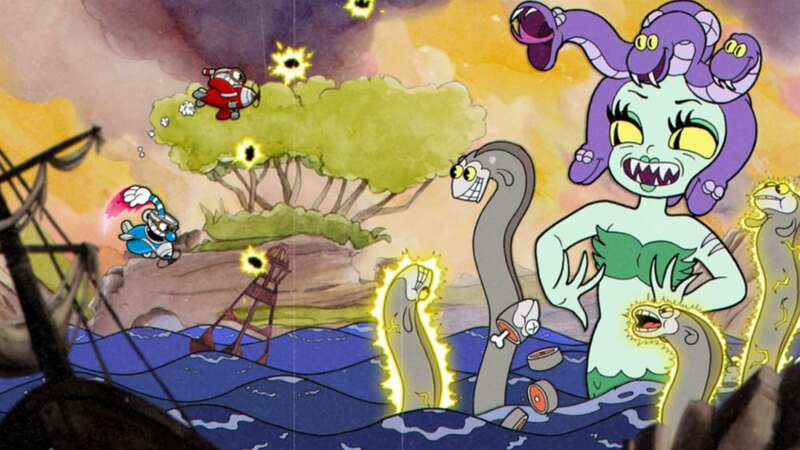 Let’s get the obvious out of the way first – Cuphead is crazy gorgeous. It looks and sounds exactly like a cartoon from the 1930’s and really is a work of art. Everything has that sort of exaggerated “cartoon” look from the era and the animation is stunningly smooth and perfect and wonderful. The sound is also perfect from the period appropriate musical themes to the foley sound effects to the distorted voice clips. That this is all in an interactive video game is like a dream come true. 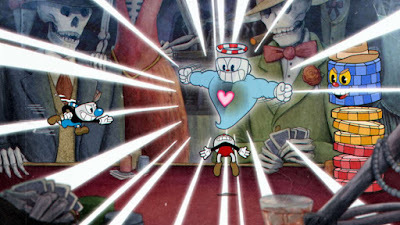 The story in Cuphead is that Cuphead, and his brother Mugman, lose their souls after some bad luck at a casino. The Devil offers them a deal, however, where they’ll keep their souls if they go out into the world and collect the soul contracts of other debtors who lost their souls through similar circumstances. And how do they retrieve the soul contracts from people? By fighting and (I guess?) killing them, of course! 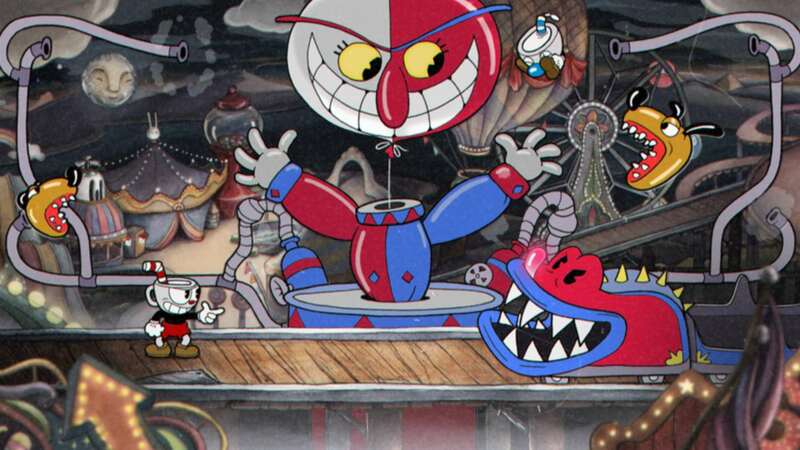 The gameplay in Cuphead is split between three distinct level types – run & gun 2D platforming levels, boss fights with platforming, and boss fights in flying stages. In the platforming stages Cuphead can move left and right, jump, dash, and fire his weapons. The Run & Gun stages are more traditional 2D platforming levels where you can collect coins that you can then use to buy new weapons and power-ups. The boss fight levels, whether on foot or in an airplane, are multi-phase boss fights against one or more enemies. You have to memorize patterns and dodge attacks all while trying to do as much damage to the boss as possible. These levels play out basically like a shoot-em-up so shmup fans used to carefully dodging around hails of bullets and obstacles will be right at home here. The boss fights are also notable because there is an incredible variety to the enemies you face as well as the attacks they use. The game always keeps you on your toes. Cuphead’s gameplay can be extremely difficult, though. Not as difficult as recent Xbox One shmup Super Hydorah, but still very, very challenging. You only have a limited number of hits on each stage and when you die it’s back to the beginning of the stage. Granted, most of the stages and boss fights only last around two-minutes, so it isn’t as if you waste a lot of time dying and trying, but some sort of checkpoints or practice option wouldn’t have hurt. As difficult as it can seem, however, it is important to remember that Cuphead is absolutely 100% fair at all times. The hit boxes are precise and perfect and your movement is extremely easy to control and the game just feels really great to play. When you die it is absolutely your own fault, which helps keep the game from getting too frustrating. You learn from your mistakes and do better next time, which makes Cuphead very satisfying when you succeed. Cuphead does make a couple of concessions to make things slightly easier, however. First is the option to do simple versions of the boss fights rather than the full on “real” version. The simple fights have less phases and are considerably easier to get through simply because they’re shorter, but you don’t actually earn the soul contract for that boss by beating the simple version. You do make progress through the game by beating simple versions, though, so it is a good way to practice and see most of the game (you will need to beat the full versions of all the fights to see the last chunk of the game, however) without getting too frustrated. The other way Cuphead makes your life potentially easier is through the power-ups you can buy. One upgrade gives you an extra hit on each level by reducing your shot damage. Other upgrades give you new types of bullets like auto tracking shots that you don’t have to aim. Another upgrade lets you automatically parry pink objects instead of having to do it manually. All of these and more are purchased with coins collected in the run & gun levels and can really make a huge difference in how difficult certain boss fights can be. Actually beating the run and gun levels and earning the coins is a challenge on its own, though, as some of them can prove quite difficult if your 2D platforming skills aren’t up to snuff. I’m, uh, pretty poor at 2D platformers these days (which is why I don’t review many even though there are bazillions of indie 2D platformers …) so it was a bit of a struggle. You can make progress through the game without beating the run & gun levels, but not having access to the new weapons and power-ups is quite a handicap. You just have to grin and bear it and “git gud” and power though. I do have a couple of nitpicks with Cuphead here and there. First is that it is hard to tell how far along in a boss fight you might be because there is no progress or health indicator anywhere. The boss phases are random, too, so you never really know how close to victory you may be. The solution is to just play carefully 100% of the time, but that is exhausting. You do find out how close you were to winning after you die, but since everything is random that doesn’t really help that much. I also have to say that the co-op mode, while greatly appreciated, just makes the game more chaotic and difficult rather than fun. The bosses gain a fair amount of HP in co-op mode, which just makes surviving even more difficult. All in all, though, Cuphead is a highly polished romp through a beautiful 1930’s cartoon that can be appreciated both for its art style as well as its gameplay. It can be extremely challenging and difficult, however, so even as appealing as the presentation might be I can’t really recommend it if you are easily frustrated and don’t enjoy difficult games. But if you’re up to the challenge, Cuphead can be a very fun and rewarding experience that is among the most unique not just on Xbox One, but in all of gaming. Buy it.